I worked this mirror for a cotton ikat tunic.The tunic by itself was quite bright, did not require any embellishment. 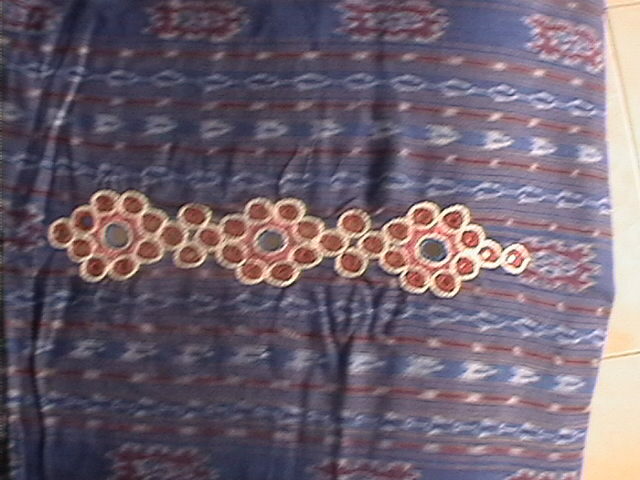 I had seen this type of mirrorwork on gujarathi and rajasthani blouses, yokes and wall hangings. 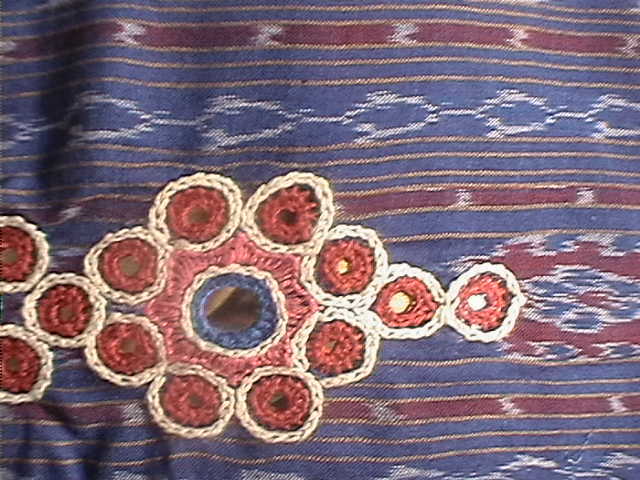 Ethnic people who do hand embroidery in these states wear these kind of blouses, they even decorate the walls of their huts with these wallhangings. The mirrors are placed in set ,of from three to eight in numbers. With three mirrors the pattern is a triangle,with four mirrors we get a square pattern, more than five mirrors becomes floral patterns The mirrors are fixed in single or more dark eyecatching colours. the outline is done in white colour thread.the space within the pattern is filled with stitches. This work in its aunthetic form is looks bright and beautiful, with all the primary colours.